Stretching across oceans and continents! OK, not so much... 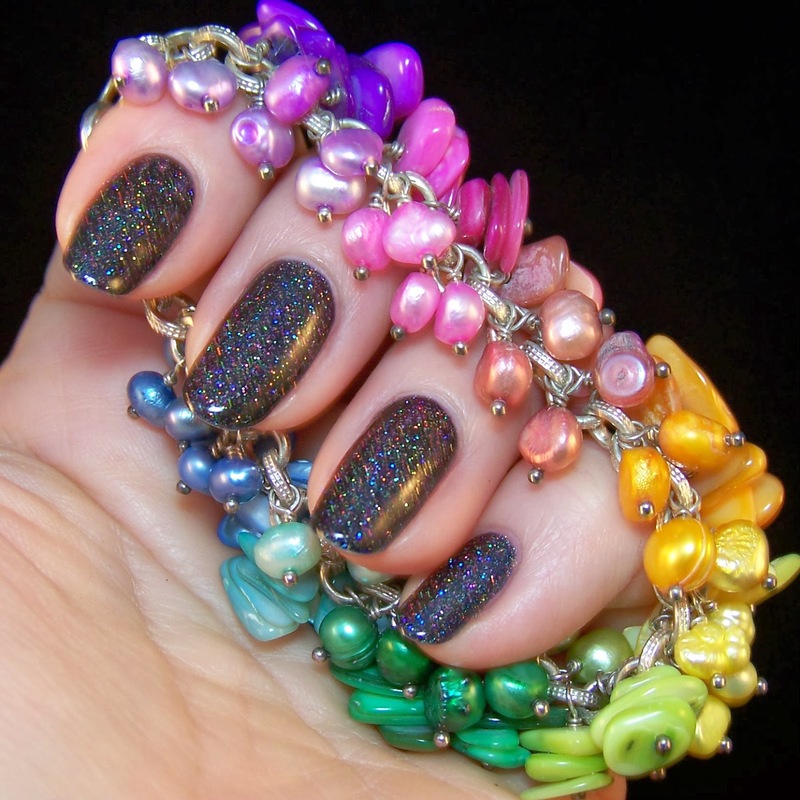 But at least combining two beautiful polishes from opposites sides of our globe. Very appropriate on this the last day of the 2014 Olympic Games. I wanted to try and get a deep glitter feel with Girly Bits Into The Night. 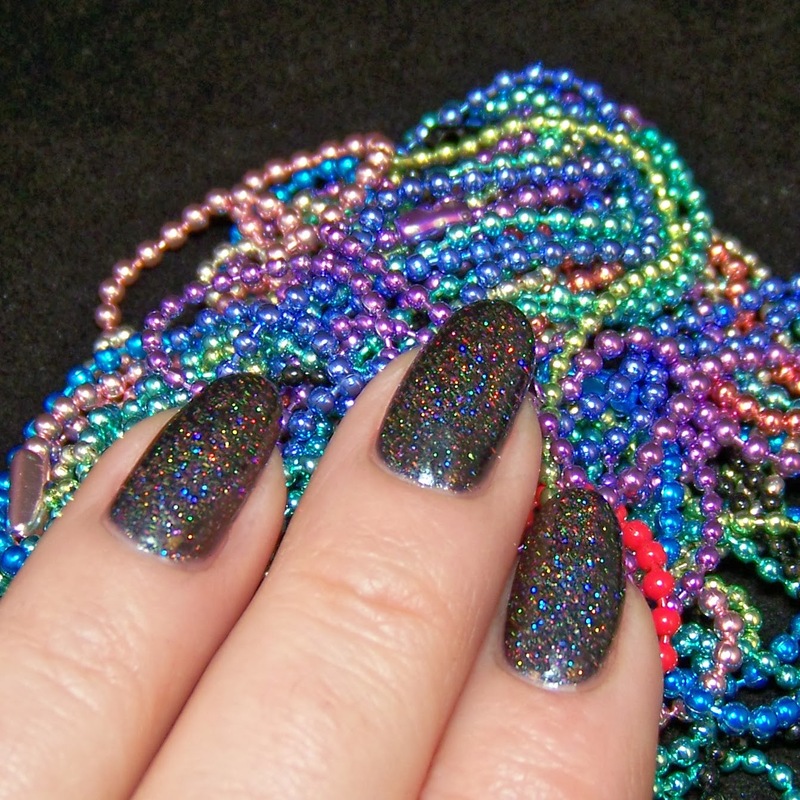 It is a black/grey base with small holo glitters that shine in all colors of the rainbow! I think it might be opaque in three coats, but I wanted to try with "undies" and only one or two coats of Into The Night. I did not want a pure black polish so I chose Lilypad Lacquer Rainbows in Space, a black, linear holo polish, as base. Two coats of that and one coat of Into The Night on that. Both polishes behaved very well, easy application, no problems at all. Topped this with two coats of Orly Sec'N Dry. Exactly the effect I wanted! 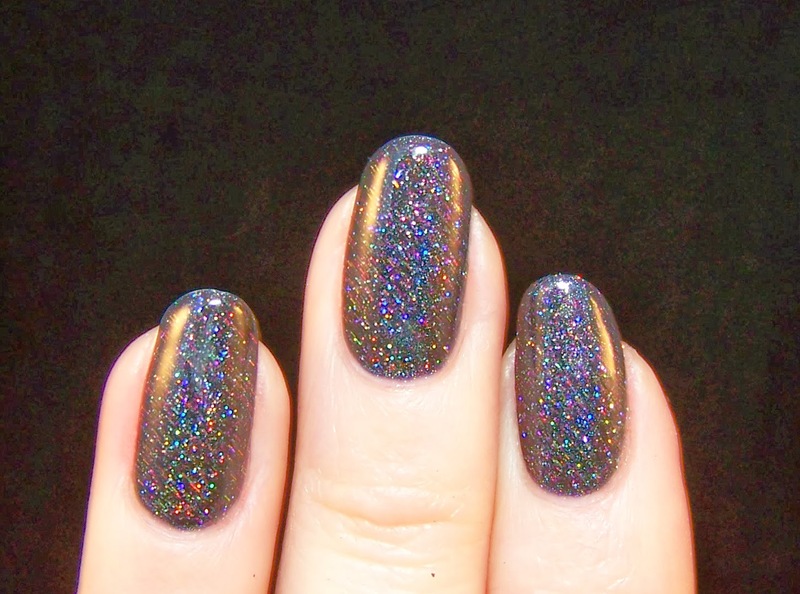 I get a feeling of more depth with this holo under than with a plain black polish. In the right lighting it is absolutely stunning. These pics do not live up to how it looks in real life, not even close! I think I managed to capture some of it though. What do you think?